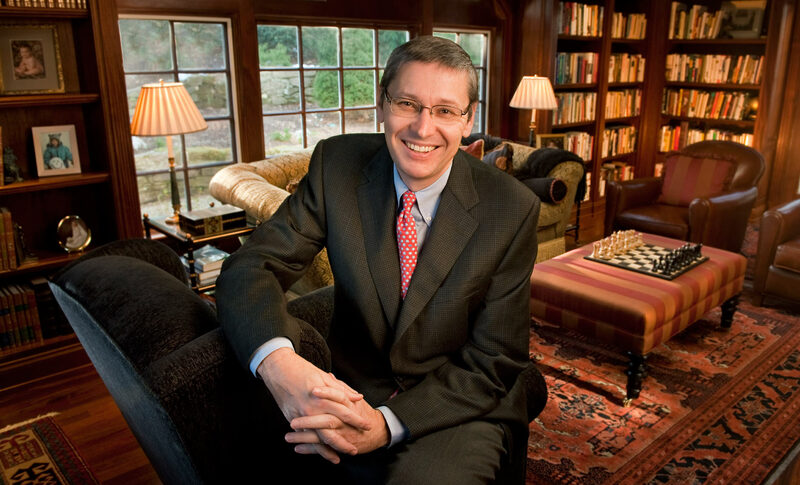 Portrait of economist, Greg Mankiew at his home library in MA. Portrait was taken for Wellesley Weston Magazine. A wide angle lens was used to capture the whole library.